In the UK, colder winter weather is usually caused by high pressure developing to the north, which allows cold arctic or polar continental air masses to push towards the UK. Last year, winter was much milder than average with a mean temperature of 5.5°C, 1.8 degC above the average. This was the result of the influences of El Nino and the westerly phase of the Quasi-biennial Oscillation (QBO). Since January 2016, there was evidence of ENSO-neutral conditions and a slight trend towards La Nina during the rest of the northern hemisphere summer. 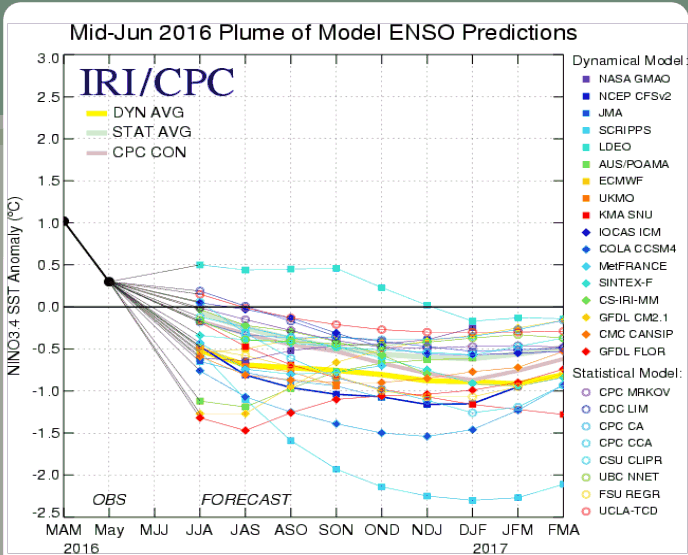 However, there is a higher chance that La Nina will be maintained through the autumn and winter. When coupled with an easterly phase of the QBO the coming winter may turn out significantly different to the last one. The winter 2015-16 produced one of the most powerful polar vortex systems in many years, giving a relentless spell of very wet, very mild and very windy conditions across the UK and a distinctly positive North Atlantic Oscillation (NAO). In addition, during last winter we were entering into one of the strongest El Nino events in many years and this, without doubt, had some influence on the northern hemisphere’s weather patterns. Equally important was the westerly phase of the QBO. This combined with solar activity and El Nino helped produce a distinctly cyclonic and unsettled winter period with little cold weather. In contrast to winter 2015-16, this coming winter period we are moving towards near neutral El Nino conditions and with an ongoing trend towards La Nina in the coming months. At the moment some of the main forecast models (see Figure 2) highlight that through this coming winter period a weak La Nina is expected to be in evidence. Clearly this will be in complete contrast to the ‘strong’ El Nino of last winter. Whilst there is always an uncertain connection between ENSO and the weather across the UK, it is expected that a weak La Nina event wouldn’t aid in strengthening the northern hemisphere’s polar vortex like the El Nino event of last year did. A weak La Nina can promote more in the way of northern blocking through the winter period, but this is certainly an uncertain prediction at any time due to other factors. The QBO phase this winter is expected to be the opposite of last year, with an easterly phase expected. While a westerly phase QBO essentially adds more ‘fuel’ to the overall winter-setup, an easterly phase of the QBO promotes a more disorganized polar vortex. The more disorganized the polar vortex is through the winter period, the greater the likelihood of colder outbreaks and less in the way of stormy conditions. 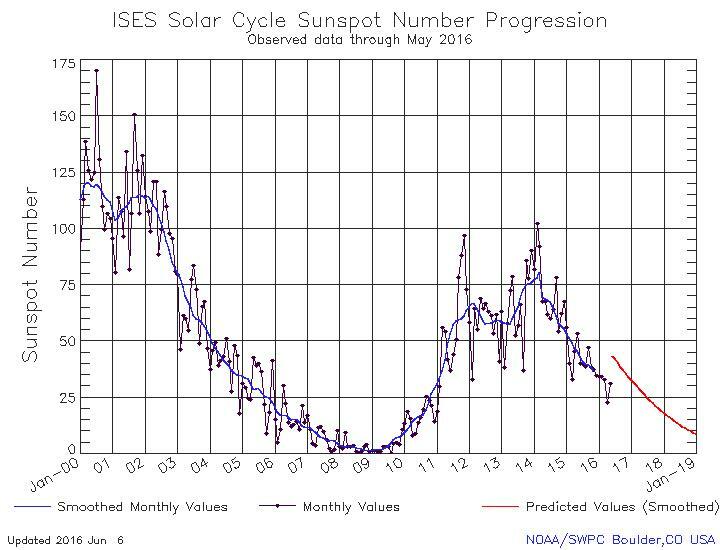 Sunspot activity has been declining since a peak around the winter of 2014-15. However, the severe winters around 2009 and 2010 did coincide with a particularly noteworthy solar minimum, as can be seen on Figure 3. Whilst the connection between solar activity and winter weather is a vague one, the general decline in solar activity is set to continue through this coming winter period. Early indications suggest the coming winter may be significantly different to the last one. The combination of lower solar activity, a weak La Nina and an easterly QBO phase may favour a less cyclonic pattern and perhaps increase the risk of colder outbreaks.